Every once in awhile, I find myself Googling different haunted house queries. 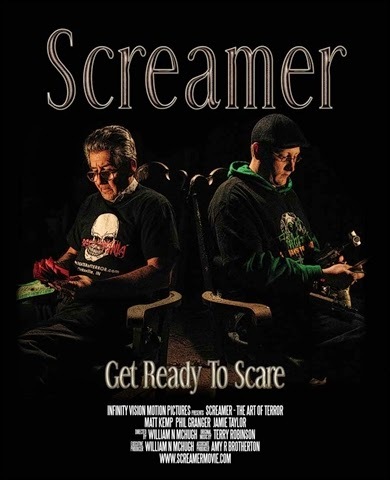 And last night I found a documentary titled SCREAMER, a film about the struggles and triumphs of running a Halloween haunted house. Best part? It revolves two Indiana haunts! I don't know how are why I have never heard of this before, but I'm glad I stumbled across it! You can rent the film for $3.99 for 24 hours, which is what I did. So head on over to the official website to check it out! 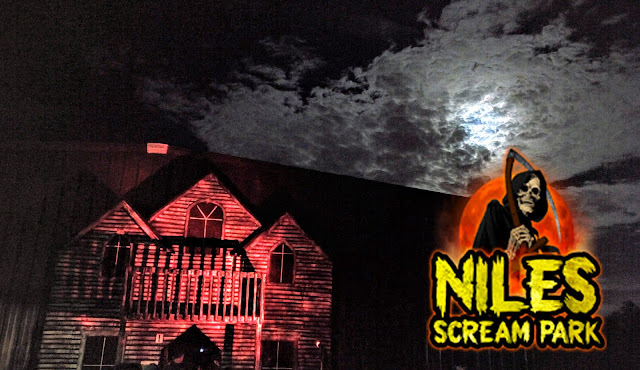 If you're looking for even more haunted house goodies, then check out THE AMERICAN SCREAM, another home haunt documentary which can currently be found on Netflix and is definitely worth the watch. Want to go one step further? Then check out the new found-footage horror flick THE HOUSES OCTOBER BUILT -- guaranteed to scare!